IH Number: Need 16 inch wheels. Rear disc brake conversion kit. Tired of not being able to stop? Can't find replacement parts? Your worries can be solved by converting to disc brakes. No booster required. Caution: never drive untested brakes on the street. Test them at slow & then higher speeds in a safe area with out obstacles. Some 15 inch wheels will work but you may need 16 inch rims to provide clearance for the brake calipers. A minimum of 12.5" inside diameter wheel. If for some reason you want to return this item, No problem, but Scoutparts does not pay return shipping. 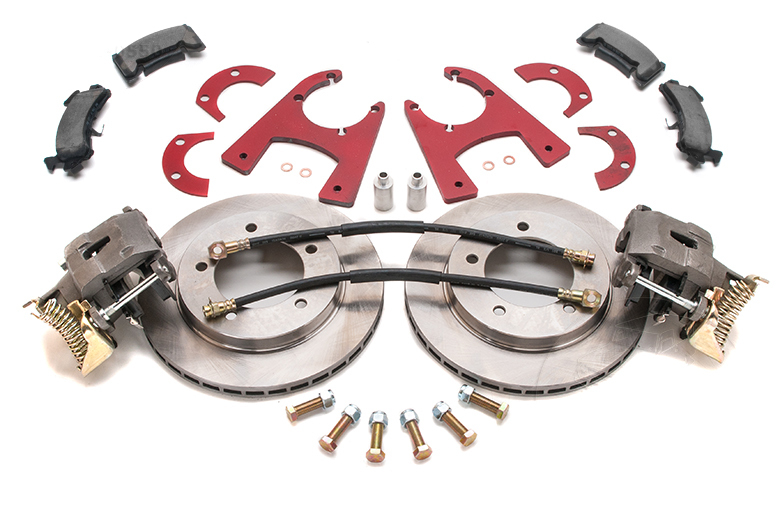 This disc brake kit is E-brake capable.